Are you missing teeth, and wish you could show off your smile or chew without concerns about the function of your teeth? Titanium dental implants are a long-lasting alternative to bridges and dentures. Dr. Belderes uses this advanced technology to replace a missing tooth or teeth, letting you have the full use of your teeth and a natural look. If your tooth is already gone, we’ll move right into the second step of placing the implant. The visits are spread out over a comfortable 3-6-month period, depending on the state of your oral health. After the second stage, we offer you a temporary option to cover the implant before the permanent crown is placed so that you don’t have to wait. Dr. Belderes has trained extensively in providing dental implants for patients. This device works with the bone, not the nerves, allowing us to place the implant comfortably. Your home care after the placement of the implant involves taking an over-the-counter pain medication for any discomfort you may experience. 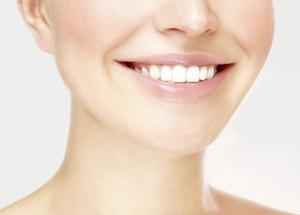 Find out how we can improve your health and get you the beautiful smile you want. Contact us today to schedule your appointment!